Walking with Jesus: Day 183: John 14:15-31 & Psalm 57 - Who is the Holy Spirit and What Does He Do? 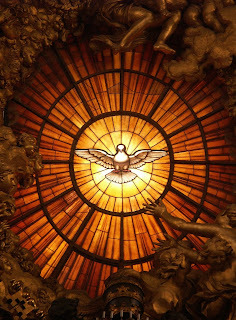 Day 183: John 14:15-31 & Psalm 57 - Who is the Holy Spirit and What Does He Do? 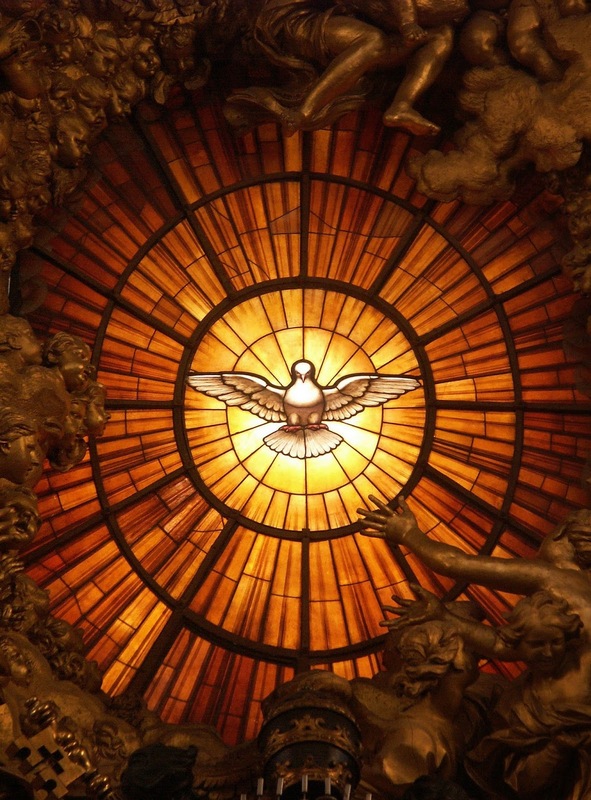 The Holy Spirit is definitely the most mis-understood member of the Trinity. Pentecostals and charismatics have separated themselves from the rest of Christianity over differing understandings of what it means to receive the Holy Spirit or to be filled with the Holy Spirit. Average Christians seem to have a decent understanding of God the Father and Jesus Christ, but sometmes the Holy Spirit gets treated as "the Force," a nebulous, impersonal power of some sort. Well, Jesus taught more than anyone about the Holy Spirit, and He did not call the Spirit an impersonal force, but "another Helper" - a Comforter, a Counselor, an Advocate. This is a very personal ministry, and when Jesus calls the Spirit "another Helper," He is saying that the Holy Spirit is another one to come alongside and comfort, teach, guide and intercede, like Jesus Himself does - only the Holy Spirit does His ministry within us, while Jesus' ministry of advocacy and intercession is at the Father's right hand. Also, in order for the Holy Spirit to be "another Helper" given by the Father, just like Jesus, He, too, must be fully God. 1. He dwells with us and is in us (v. 17). The Holy Spirit is the abiding presence of God with and in believers. God is not just "up there" in heaven; because of the Holy Spirit, God abides in His children. 2. He teaches us all things (v. 26). The Holy Spirit is the Spirit of Truth and our Great Teacher. He illumines our minds to understand the truths of God, teaching us what we need to know to trust and follow the Lord. We shouldn't misunderstand Jesus here. "All things" doesn't mean everything in the world, but it means all things that we need for salvation. 3. The Holy Spirit enabled the Apostles to be able to write the New Testament accurately (v. 26). By bringing to the Apostles' remembrance all that Jesus had spoken, the Holy Spirit ensured that the Gospels would be written accurately. We need the Holy Spirit. From elsewhere in Scripture, we know it is the Holy Spirit who convicts us of sin, grants us repentance, calls us to Christ, assures us of salvation, intercedes for us with groanings to deep for words and causes us to call God our Father. His ministry in us is nothing less than the application and realization of our redemption in Christ. So thank God for His Holy Spirit! for You fulfill all of Your purpose for me. him who tramples on me. and run after my own destruction. I lie down amid fiery beasts—the world and its destructing ways, my flesh and its deceptive lusts.